I now have more days when I am unable to hold a paint brush that those on which I can so I revert to digital art to avoid going to manic. 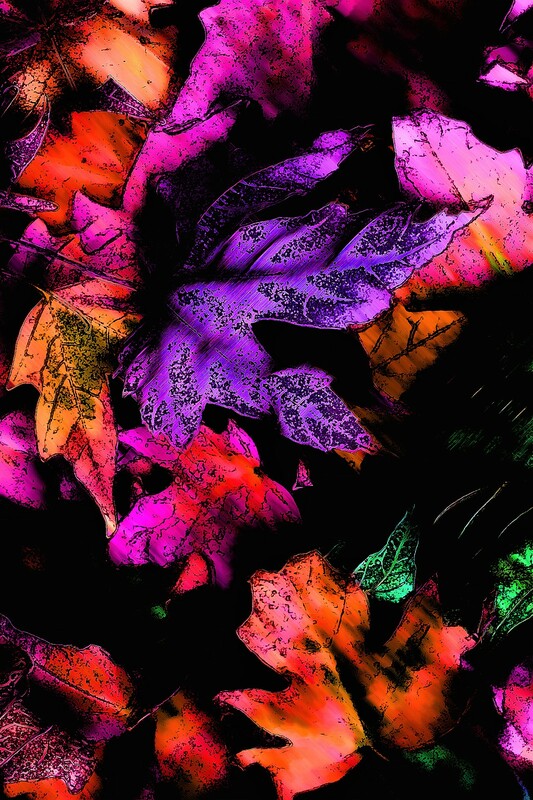 I created “Neon Leaves” from a stock image photo (Pixabay) of a pile of leaves. I added filters, adjusted the contrast, colors, you know the usual tools we digiteers love to mess around with. I will be having neck surgery in December to fuse two of my three herniated discs. Then, back surgery. Fingers crossed!